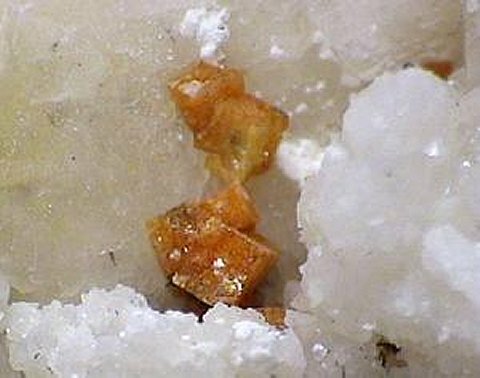 Comments: Milky white dolomite with scattered cinnamon brown crystals of svanbergite to 2 mm across. Location: Mt. Brussilof Mine, near Radium, British Columbia, Canada. Scale: Picture size 1.5 cm.